Robert Mueller may be facing his own issues as the investigations into Hillary Clinton’s email scandal and the Russian dossier continue. Inspector General Michael Horowitz’s wide-ranging review of the FBI and Justice’s work in those cases may turn out to be a landmine field for Mueller. Horowitz’s investigation has spanned months now. It has amassed interviews with former Attorney General Loretta Lynch, former FBI Director James Comey and other key officials. And it has been off the radar pretty much until now. 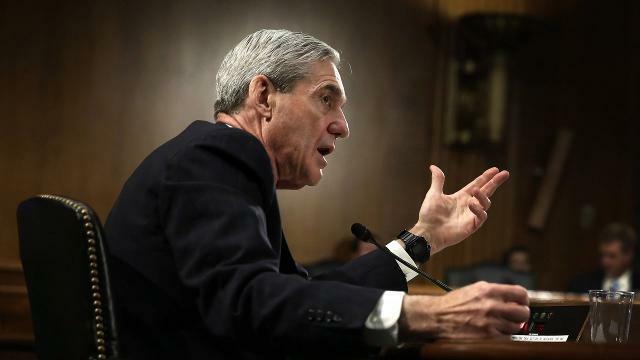 Earlier this month the inspector general acknowledged that Mueller was alerted to a cache of text messages exchanged between two FBI officials on his staff that disparaged Trump and all hell broke loose. The thousands of emails and texts between agent Peter Strzok and the bureau’s lawyer Lisa Page, were anti-Trump and smacked of their own collusion to oust the new President. This has provided fuel for the fire as Trump loyalists now start circling Mueller, the FBI and DOJ, sniffing out their own corruption and plots against President Trump. Instead of relying on the leadership of FBI Director Christopher Wray and Deputy Attorney General Rod Rosenstein, the right has seen enough to judge them complicit and demand a separate special counsel in the matter. “The inspector general’s investigation is very important,” House Judiciary Committee Chairman Bob Goodlatte, R-VA, told Rosenstein at a Dec. 13 hearing. The deputy attorney general cited the probe multiple times as the reason for declining to respond to lawmakers’ questions about how the texts might affect Mueller’s probe. “It is very encouraging to us that (Horowitz) is doing what I think is good, unbiased work,” the chairman said. We’ll see if that sentiment holds. Chris Swecker, a former FBI assistant director, said the text communications unearthed by Horowitz have handed leverage to attorneys representing current and possible future defendants in the Mueller investigation, either in possible plea negotiations or at trial. “Two star witnesses have been created for the defense,” Swecker said, referring to Strzok and Page whose communications could be introduced as evidence of an investigation biased against Trump. Strzok has since been removed from the Mueller team and Page has also left that same group. He described Trump as an “idiot” and much worse. Strzok is extremely biased in favor of Hillary Clinton. However the damage may already be done: “I never heard anything related to politics come out of (Mueller’s) mouth,” Swecker stated. “But none of this is good for Mueller or his reputation for fairness,” Swecker said. “Who knows what else the IG (inspector general) has.” Excellent point. Wray has been busy with damage control and defending the reputation of the FBI. Pat Cotter, a former federal prosecutor, said the specter of Horowitz’s inquiry should have “zero effect on how Mueller and his team do their jobs. But this is a political event, too,” Cotter added. “To the extent that this (agents’ conduct) will be used to discredit, distract or obfuscate the Mueller investigation, maybe it will work.” Wray surely knows this. In the review of the Clinton email investigation, authorities are examining whether the Justice Department and FBI followed established “policies and procedures” when Comey publicly announced that the bureau would not recommend criminal charges against Clinton related to her use of a private email server while she was Secretary of State. The inspector general is focusing specifically on Justice and FBI policies that guided the Clinton probe. “Michael (Horowitz) is a very solid guy with exactly the right background for the job. It’s a job that doesn’t make you many friends,” Former Justice inspector general Michael Bromwich said. “And I don’t think a lot of people will be happy when it’s over. But I think he is going to call it as he sees it.” In this case, the inherent corruption had better be honestly exposed. I expect if it isn’t the FBI and DOJ may find themselves gutted and repopulated from the top down. Get it right this time guys… for everyone’s sake.